Brisbane, Gold Coast and Toowoomba high-grade mobile crane hire. When you want some heavy lifting completed successfully and safely, it's always helpful to work with a crane company that has the experience and capability to meet your rental needs. 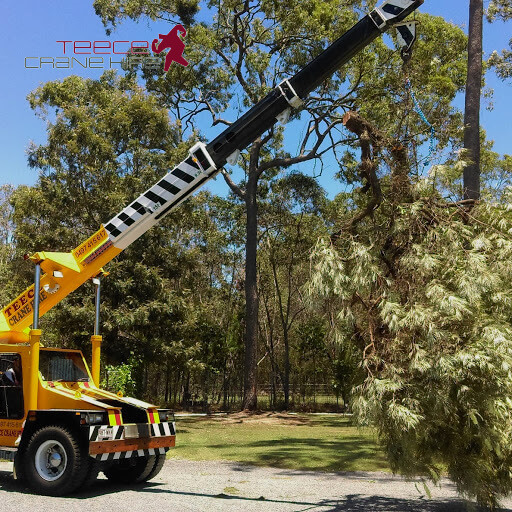 We are an established, family-owned business that specialises in providing wet hire franna cranes Brisbane-wide and throughout the surrounding area. Our goal is to offer a responsive, helpful franna service that ensures our customers can get the lifting done they need, on time and on budget. All our cranes at our Brisbane business are carefully maintained, ensuring you enjoy a dependable performance. Our team is committed to offering a professional, friendly and responsive service to all our customers. We are always happy to go the extra mile to ensure you are able to complete your project successfully. Even if you've got a tricky job on hand, we're normally able to get the job done. To find out more about our crane hire services, enquire about our rental options, make a booking or benefit from a free, no-obligation quote, please get in touch. Our team is on hand to assist you today with all your franna crane hire.